Is Barium Hydroxide Soluble In Water? Is Barium Hydroxide Strong Or Weak Base? It is a chemical substance that is also known as “Baryta”. It is a compound of Barium, a soft silvery metal of the alkali earth group. The chemical formula for Barium Hydroxide is Ba(OH)2. The solubility of Barium Hydroxide is moderate in water. However, this compound is insoluble in acetone. At room temperature, it can produce a solution. The Barium Hydroxide solution is found to have an approximate concentration of 0.1 mol dm-3. This is a stable compound. It is incompatible with carbon dioxide, acids and moisture. It is necessary to avoid making contact of this substance with incompatible materials. This is a crystalline substance which can range from white to transparent in appearance. The specific gravity of this substance is 2.18. The substance melts at a temperature of 408 °C. The material boils at a temperature of 780 °C. The ph value of barium hydroxide actually depends on its concentration. That said, the pKb of this compound is around -2. This indicates that it is highly basic in nature. The molecular formula of Barium Hydroxide Octahydrate is BaH18O10. This is a chemical compound that appears as a white crystalline powder. It is solid and soluble in water. It has a melting point of 78 °C. It is also used in sugar industry for preparing beet sugar. This substance can be harmful if inhaled, swallowed or even exposed to. Direct exposure to the skin, eyes or clothes can be dangerous. Hands should be thoroughly washed after handling this material. If clothes come in contact with this substance, they should immediately be removed. Any region of skin exposed to this compound should immediately be washed with cold water and a light soap. Individuals with pre-existing conditions of the respiratory system, skin or eyes may become more susceptible to having one or more of the aforementioned symptoms. It is necessary to store this material safely to avoid any spillage and fire hazards. Any fire started from this substance can be controlled by fire-extinguishers. Individuals using this compound should wear protective clothing and use self-contained breathing apparatus to prevent contact of this material with eyes, clothes or skin. The little amount of BaSO4 which is got from the moderately soluble Ba(OH)2 coats and precipitates the Ba(OH)2. As a result, the reaction between H2SO4 and Ba(OH)2 comes to a halt. Ba(OH)2 (aqueous) + 2NH4Cl (aqueous) → BaCl2 (aqueous) + 2NH3 (gaseous) + HOH (liquid). Ba(OH)2.8H2O (solid) + 2 NH4SCN (solid) → Ba(SCN)2 (solid) + 10 H2O (liquid) + 2 NH3 (gaseous). Skin contact, inhalation or ingestion of this material can cause dangerous health hazards. In acute cases, death may also occur. This is a non-inflammable substance but can decompose on exposure to heat and produce toxic and/or corrosive flames. It should be stored in containers in a cool, dry place and always kept away from heat. Otherwise, containers may explode in a heated environment. This compound is quite soluble in water. It is regarded as the only dibasic strong base. 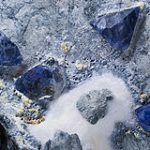 It is capable of making litmus paper blue and can form salt and water on reacting with an acid. Ba(OH)2 + CO2 → BaCO3 + H2O. Ba(OH)2 + 2 HClO4 (aqueous) → Ba(ClO4)2 (aqueous) + 2 H2O (liquid). Barium hydroxide used in this reaction is either a solid or a highly dilute aqueous solution. It leads to the precipitation of Barium Phosphate. This can be regarded as a “Double Replacement” reaction in which barium replaces hydrogen which in turn replaces barium. Ba(OH)2 (aqueous) + 2 NH4NO3 (aqueous) → Ba(NO3)2 (aqueous) + 2 NH3 (aqueous) + 2 H2O (liquid). Ammonia may dissolve into the solution until saturated. It can then evolve into a gas, thereby completing the chemical change. Solid ammonium chloride is mixed with solid hydrated barium hydroxide in a beaker to form Barium Chloride. Gaseous ammonia and Hydrogen Hydroxide (water) are the other products resulting from this endothermic reaction. The temperature drastically drops to approximately -20 °C in this cool reaction. 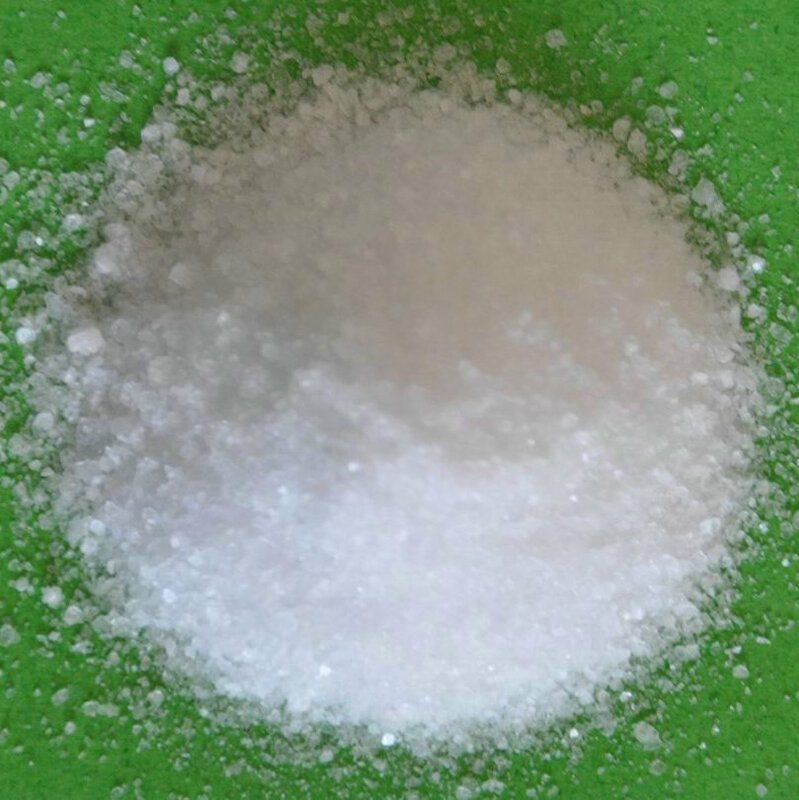 Ammonium Thiocyanate (NH4SCN) is mixed with solid Barium Hydroxide Octahydrate (Ba(OH)2.8H2O) to produce Barium Thiocyanate. The acid-base reaction produces a basic gas which can be detected by a pH paper. Ba(OH)2.8H2O(solid) + 2 NH4SCN(solid) → Ba(SCN)2(s ) + 10 H2O(liquid) + 2 NH3(gaseous). This is an endothermic reaction that absorbs heat from the environment. This leads to a rapid drop in the temperature of this reaction, which can be read with the aid of a digital thermometer. It makes the beaker to freeze to the wooden board. This is the reason why the beaker should be rested on a small board with a few drops of water poured on it. 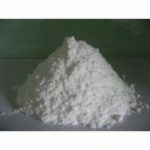 Barium Hydroxide is one of the main compounds of Barium. Commercially, it is most commonly available as a white granular monohydrate.